German diabetologist Kathrin Maedler is a central figure of a questionable academic dynasty. Using Photoshop simulations, she discovered a cure for diabetes, which was then allegedly validated in clinical trials led by her Swiss PhD advisor Marc Donath. 15 years later, the Maedler-Donath diabetes cure was proven as utterly ineffective by same Donath, in another clinical trial. Maedler's own PhD student, Amin Ardestani is group leader in Bremen, despite data irregularities and unacknowledged textual reuse in his thesis. German academic jargon has a peculiar expression: Doktorvater. It means “doctoral father”, a fatherly figure who takes his helpless PhD student progeny by the hand and guides and teaches the offspring of his academic loins the wisdom of science, up to the graduation. Nowadays with the system being less patriarchal, one can instead have the figure of a Doktormutter, doctoral mother. Which obviously doesn’t bring same gravitas or inspires same respect and awe, and is therefore hardly ever used. The German diabetologist and Professor at University of Bremen Kathrin Maedler is a central figure of an academic dynasty. Using Photoshop simulations (read here), she discovered a cure for diabetes via inhibition of the inflammatory cytokine interleukin-1-beta (IL-1β), which was then confirmed as a definite cure for diabetes in clinical trials led by her own Swiss Doktorvater Marc Donath, then professor at University of Zürich, now in Basel. Over 15 years later, the Maedler-Donath cure was proven as utterly ineffective against hypoglycaemia and diabetes by same Donath, in another clinical trial. Because of her Photoshop creativity with discovering diabetes cures and ensuing retractions, Donath’s past PhD student Maedler was asked by the German Research Council DFG to surrender her prestigious Heisenberg professorship, while the German Diabetes Society (DDG) revoked her Ferdinand Bertram Prize from 2011 (read here). Since 2017, her PhD thesis is again under investigation of University of Zürich. That diabetes research was also what made the career of Maedler’s own PhD student, Amin Ardestani, presently junior research group leader at the University of Bremen. His thesis received an award from the local Rotary Club, of course also Ardestani got a prize from DDG, which he also saw revoked for engaging into same activities as his Doktormutter. Still, he is still receiving awards, including from Elsevier. I will present below some data irregularities and unacknowledged textual reuse from Ardestani’s 2013 PhD thesis, which was supervised by Maedler. Marc Donath was the Doktorvater of Maedler, when she did her PhD at University of Zürich in Switzerland 2000-2003. With their common paper in Journal of Clinical Investigation (JCI), Maedler et al 2002, Maedler and Donath postulated the role for IL-1β in causing Type 2 Diabetes Mellitus. 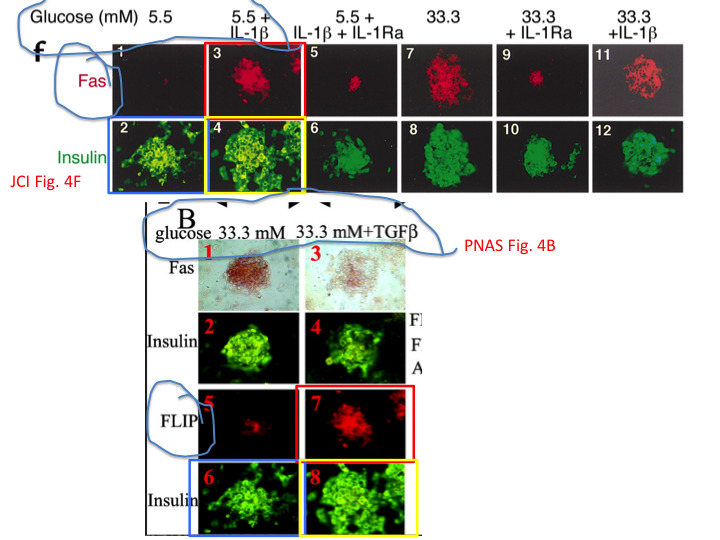 High glucose levels in blood make pancreatic islet cells produce that cytokine, which in turns kills them via apoptotic molecular pathway of the nuclear factor-kappaB (NF-kappaB). All you have to do to cure diabetes Type 2 is to treat patients with an inhibitor of IL-1β signalling pathway. “In summary, our study suggests that antagonism of interleukin-1 has possible therapeutic potential in the treatment of type 2 diabetes. Further studies are needed to test higher doses of anakinra, to evaluate its long-term use, and to test interleukin-1 antagonists that have a prolonged half-life, with the aim of preventing beta-cell destruction and promoting beta-cell regeneration in type 2 diabetes”. “Dr. Donath is listed as the inventor on a patent (WO6709) filed in 2003 for the use of an interleukin-1–receptor antagonist for the treatment of or prophylaxis against type 2 diabetes. The patent is owned by the University of Zurich, and Dr. Donath has no financial interest in the patent”. “He says that the patent family is owned by the University of Zurich and not by the author personally. As an inventor he receives from the University of Zurich an adaptation of his salary based on licensing and other scientific achievements. Otherwise he said he does not receive financial compensation on this invention”. “M.Y.D. is a consultant for Amgen, XOMA, Novartis, Merck, Solianis, and Nycomed. M.Y.D is listed as the inventor on a patent (WO6709) filed in 2003 for the use of an interleukin-1 receptor antagonist for the treatment of or prophylaxis against type 2 diabetes. The patent is owned by the University of Zurich, and M.Y.D. has no financial interest in the patent”. After the phase 1 trial in NEJM, Donath partnered with the biotech company XOMA, which announced in 2007 two clinical trials to test its product XOMA 052, which is a monoclonal antibody against IL-1β. The phase1/2 trial in US recruited 68 participants and completed in February 2010. The European phase 1 clinical trial for XOMA 052 was run in Zürich by Donath himself, involved 38 participants and concluded at the same time. No results were posted for any of those two trials on the ClinicalTrials.gov website. IL-1 β inhibition did not reduce the risk of new onset diabetes in spite of significant reductions in hsCRP and IL-6, a transient improvement of HbA1c, nor did it have long-lasting effects on glycemia among those with diabetes”. An internal investigation by the University of Zürich in 2015 officially found no misconduct on the part of Donath or Maedler (read here). Yet strangely, when the same year Donath was perfectly certain in becoming the next director of the university hospital’s Clinic for Endocrinology, Diabetology and clinical Nutrition, he was not even nominated (see this NZZ report). 15 Zürich professors, joined by 11 more Swiss clinical academics, wrote an angry open letter to the rector Michael Hengartner, protesting the “shocking” and “libellous” injustice done to such eminent a colleague who basically cured diabetes. To no avail. 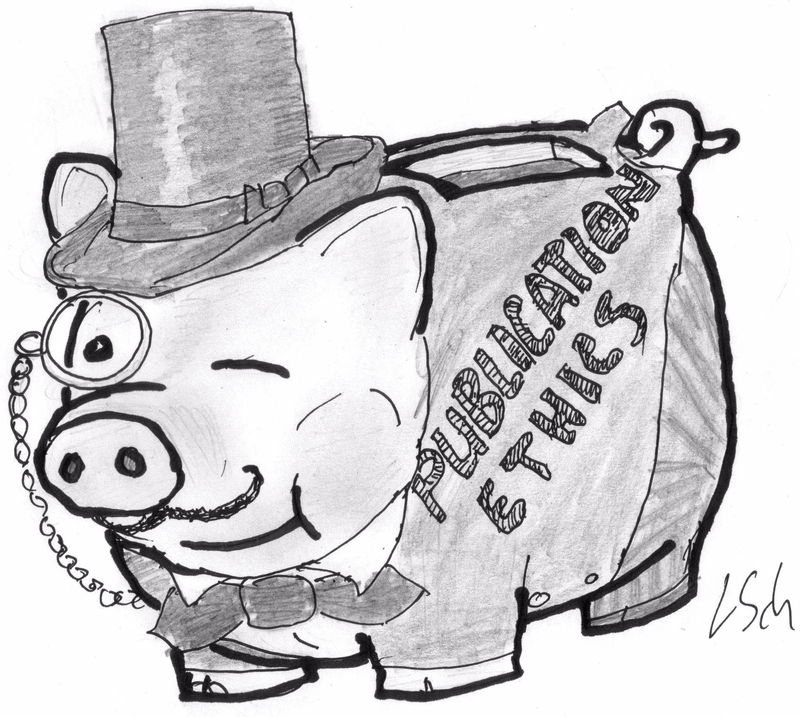 “Following a renewed accusation of scientific misconduct, an internal investigation regarding Kathrin Mädler at the University of Zurich was commenced at the end of 2017. At the moment, the allegations are being examined and it is not yet clear when the investigations will be completed”. Somehow loading controls from a 2006 paper from Maedler’s time with Donath crawled into a (now retracted) paper from Maedler’s Bremen lab Ardestani et al JBC 2011. “The University of Bremen is not involved into awarding of Prizes of German Diabetes Society (DDG). Hence we cannot provide any statement on the issues you reported”. At least the university removed most of their outdated press releases, like those celebrating Maedler’s DDG award. Most, but not all: some are still stored here. Maedler lab in Bremen currently lists quite a number of alumni, but not a single current PhD student or postdoc. The former star of German diabetes research seems left with one technician, supervised by her former PhD student and now junior group leader Ardestani. Amin Ardestani received his PhD, supervised by his Doktormutter Maedler, in 2013. The year after, he became junior group leader in her lab (his research is funded by the DFG till 2018). Of course also Ardestani took a hit from the Maedler affair. His paper in Journal of Biological chemistry (JBC), Ardestani et al 2011, was retracted for image reuse (that journal is not to be messed with). “Amin Ardestani was also stripped of the prize for the same reasons. The DDG has, however, refrained from reclaiming the prize money, as it was earmarked for research”. Yet some scientists abroad trust Ardestani’s research with Maedler more than their envious ill-wishing peers in Germany. Just in 2017, this junior group leader received a cash award from the Endocrine Society, and in 2018 he was given JMB Career Advancement Initiative award by an Elsevier-published journal. Being third-generation genius scientist (Doctoral son of Maedler, Doctoral grandson of Donath) and having have learned the skills, Ardestani obviously published in top journals also. His paper in Nature Medicine, Ardestani et al 2014, discovered another culprit for beta-cell demise in diabetes, namely the kinase enzyme MST-1. Just 2 months after that paper was published in Nature Medicine, Ardestani and Maedler patented Mst-1 inhibition as method to cure diabetes. Guess what competing financial interests the Ardestani et al 2014 paper declares? I informed the journal in December 2016 that they have been had, but apparently the Nature Publishing Group didn’t mind. Similar Western Blot panels appear in Ardestani’s PhD thesis and his 2014 Nature Medicine paper. Yet some gels are different, some are replaced with new ones, but the loading control remains same, or is even flipped. And some gels appear duplicated in the PhD thesis. There is even more of this kind regarding this PhD thesis and the Ardestani et al Nature Medicine 2014 paper on PubPeer. While Ardestani apparently incidentally rotated, cropped, contrast-adjusted and duplicated fragments of western blots in his publications, his PhD thesis also contains (certainly unintentional) text re-use from other sources which he did not co-author, here from Bremer et al 2006. One can say, Ardestani was well taught by Maedler, Maedler was well taught by Donath, and this little entire academic dynasty deservingly became award-winning stars of diabetes research. So much for University of Bremen to be proud of. Just a thought. What is there to lead as a “group leader’” if there is no group to speak of? And I hope those cheaters all are taken behind the woodshed and spanked appropriately. Well done! This is of huge importance for the science. Hopefully there will be more progress in the diabetes field after the invalid data has been removed. Very interesting. It is also nice to read that these scientists are at least partially punished for their wrongdoing, albeit the funding they bring.